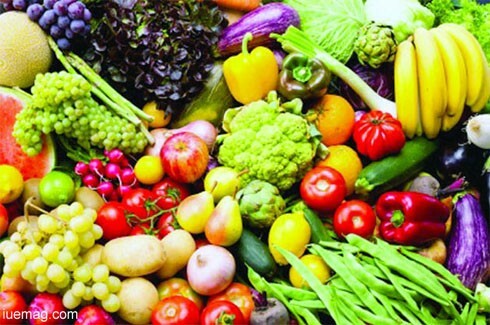 "When all people, at all times, have physical, social and economic access to sufficient, safe and nutritious food which meets their dietary needs and food preferences for an active and healthy life" - we have then achieved food security (FAO). "Think.Eat.Save" is a Save Food campaign of the United Nations, and we need a better understanding of this concern so as to do something about it. Modern humans evolved from archaic Homo sapiens in the Middle Palaeolithic, about 200,000 years ago. However, 50,000 years ago our transition to behavioural modernity happened. With our evolution, our food habits have also simultaneously evolved.We have moved from being fruit eaters, to hunters, gatherers, and now producers and processors of food. The human race has been well established as an omnivore evolutionarily. Yet, he has developed a fine sense of differentiating the pros and cons of his eating habits causing him to choose his diet today. Vegan, vegetarian, eggetarian or a non-vegetarian - he chooses exquisitely because he can afford to. But is it true for the entire seven billion that our planet houses? Food security should not be reduced to a mere "shortage of food" front, but a holistic matter of "nutrition and quantity". THINK. A balanced diet is highly important for all of us. However, people still die deaths from hunger and malnutrition. Our societies have become so complex, we now have separate food and agricultural systems.The biggest economies are those where major occupation is agriculture. Ironically, 98% of the world's hungry live in developing nations. The rich would have to eat money if the poor stopped providing. The problem is that some have plenty to waste, while the majorities have less to utilize. I personally see it is a unique case of the "Tragedy of the commons" where a selective few have more access to the use/abuse of the resources, leaving the rest to the play of poorer majority dynamics. In order to address 'food security' in today's background, we need to start saving. We need to protect rights to resources for the most vulnerable. There are disturbing statistics stating that annual food waste in America can feed 49 million people every year. India has 10,700 lakh tonnes of food grains that are damaged in depots, enough to feed six lakh people for 10years. Those who can afford always have food to waste, while 1 in 7 go to bed hungry every night. SAVE. The good news is that we have started thinking globally. But, the not-so-good news is that we are yet to begin acting locally. At the government level, sound policies are needed to create the incentives and capacities for sustainable consumption and production that enables consumers and producers to make sustainable choices consciously. The poor need to be empowered to be fed. They need to be supported as best as possible. Thankfully, India has started with a few provisions such as the mid-day meal scheme, incentives, subsidies for farmers, participation in local market dynamics and pricing, procurement and in recent times - crop insurance. The middle class need to plan meticulously for a rainy day, invest in storage within household and perhaps even composting waste. Food storage and monthly planning of food expenditure is largely lacking owing to its redundancy. What can be expected of the upper class in not to buy large quantities of food just because they can, and waste it later. They should be inspired to buy only what they need. This way we will generate less wastage and use optimally. As citizens of this planet, we come with rights and duties. We have a right to food and food security but it comes with an inherent responsibility to not hamper other's rights. It is time for us to balance our unending wants with our limited needs, so that we prosper together as Homo sapiens, and not selectively as the affordable few. Waste not, want not. Remember, the waste of plenty is the resource of scarcity. Let us start thinking globally, eat vigilantly and save locally. From today, let us be inspired to eat all that we can or want, but resolve not to waste a morsel from our plates. That is a step good enough to propel us in the right direction. Any facts, figures or references stated here are made by the author & don't reflect the endorsement of iU at all times unless otherwise drafted by official staff at iU. This article was first published here on August 2013. 20 Reasons Why Entrepreneurs Are Awesome!